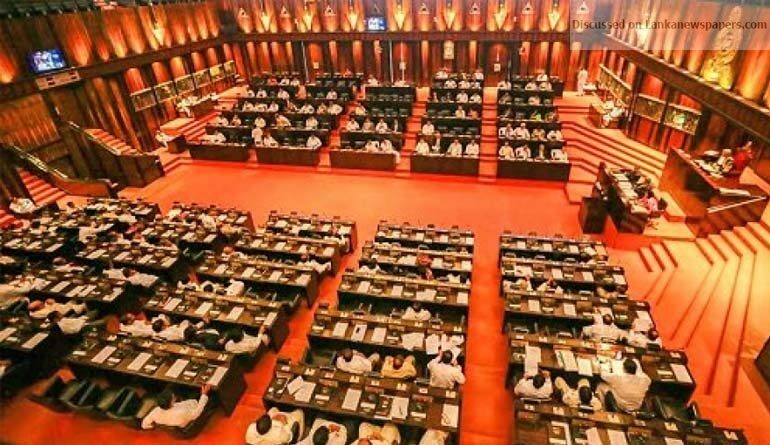 Sri Lanka’s trade union leaders yesterday (14), threatened to stage crippling countrywide strikes if the Government does not dissolve Parliament immediately and go for a General Election. “We are intimating that the Government should dissolve Parliament and hold fresh elections or we will push the Government into a corner where they will be forced to go for an election, Joint Opposition Colombo District Parliamentarian Gamini Lokuge told Ceylon Today, on the sidelines of a news conference at Nelum Mawatha, Battaramulla. “The Government does not have a mandate to govern the country anymore after the just……concluded Local Government Polls and if the Government does not have the sense to dissolve Parliament, we will push the Government into such a corner with all our might to make it do so,” Lokuge added. “The Government is aware that it does not have a mandate to rule anymore and that there was an overwhelming opposition to it as seen at the recently concluded Local Government elections, but if they want to bring amendments to the 19th Amendment to the Constitution, to allow for the legal impediment barring the dissolution of Parliament prior to completing four and a half years to be removed, we will support the Government,” he said. Earlier, in his opening remarks at the news conference, he said that he had information that 70% of Government employees had voted for the Sri Lanka Podujana Peramuna (SLPP) but that is not reflected in the Election Commission’s statistics. He said that the new electoral system was so distorted that he urged the Election Commission to do away with it. He added that it even allowed candidates who were defeated to be elected to Local Authorities. President of the Joint Trade Union Federation, W.H. Piyadasa said that there was no reason for the Government to remain, in light of the fact that the biggest bank scandal in Asia had been exposed. He said that this was the main reason why the SLPP won 234 Local Government bodies. “If former President Mahinda Rajapaksa was a rogue and a murderer as claimed by the United National Party (UNP) and the Sri Lanka Freedom Party (SLFP), why is it that there was an overwhelming majority for the former President and the SLPP,” he queried. He also remarked that the present 2018 ‘revolution’ was more decisive than the 1956 Revolution. SLPP Education Wing Leader Wasantha Handapangoda described President Maithripala Sirisena as a charlatan who could not keep his election promises post-2015 and said that the only solution for him was to leave the Government. Lanka Trade Union Central Board Member Ishara Diyes said that the economy was in shambles as there were no investors and investments coming into the country.